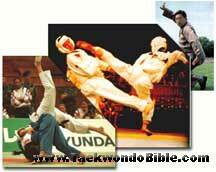 There are three kinds of important oriental martial arts ; Korean, Chinses and Japanes martial arts. Each of them has a distinctive feature but almost western people cannot discern each from another, for they don't have evident theoretical schems required to recognize them. Here you will get them, the theoretical schems. To provide the distinctions among those three is not to focus on only the differences among them but to have you able to see the commonness and its essential sharedness. Then you can get a perfect implication of your own life acquired through any martial arts. Non distinctive truth, which is beyond a distinctions, can be acquired only after distinctive understanding( Chapter 15 of PPT).